Crab Island Amusement Park is part of an enormous resort situated about a fifteen-minute drive from the airport. The resort itself features numerous hotels, restaurants, shops, and conference centers, as well as an indoor water park (next door to the amusement park), a horse riding club, a go-karting facility, and a farm. In short, the amusement park itself has something for everyone, and is definitely worth a visit. 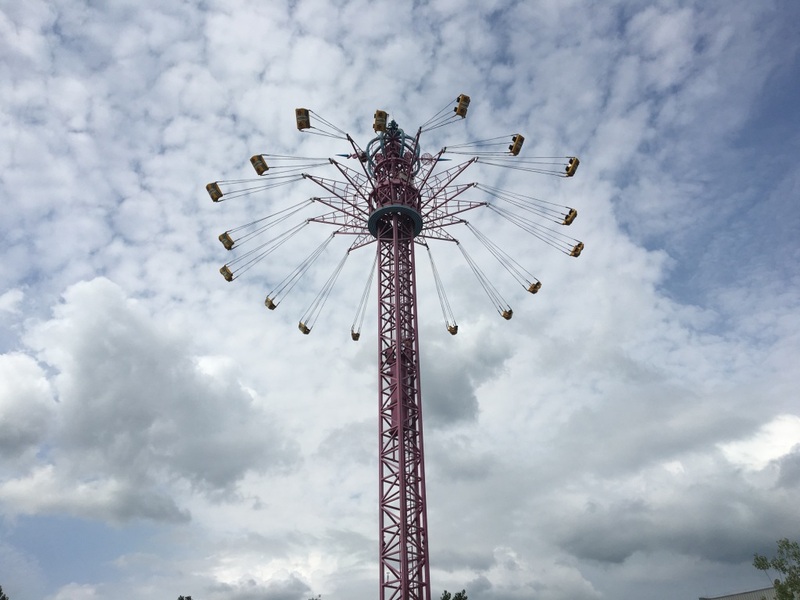 There are rides with varying degrees of intensity: the “play it safe” rides that had my two toddlers squealing in delight and begging for more, and then the “are you sure you want to do this?” rides which are aimed at thrill-seeking big people. The youngsters are banned from such rides and are resigned to staring mesmerized from a distance as these pieces of machinery perform the most breathtaking feats. Just so you know—some of the “calmer” rides require little children to be accompanied by an adult. Logistically speaking, this might be problematic if you happen to have an infant in a stroller as well as a toddler. I, for one, found it somewhat difficult to be on a ride and stand beside a stroller at the same time. Thankfully, my husband was on hand so one of us could guard the baby while the other one stopped our daughters from trying to stand up during the ride. The pricing and ticketing system was difficult to comprehend. There is one price for adults and another price for children, and they change for the evening session and also if purchased via the QR code by the ticket booth. The tickets we eventually purchased were RMB 68 (per child), which allowed us to choose ten rides from a choice of twelve. If you plan on going on multiple rides, this is certainly the most cost-effective option. However, it is helpful to be aware that only certain rides are included in this deal. I strongly recommend taking the time to decipher the list of rides that are printed in Chinese on the back of the ticket. That way you (or your child) can avoid the disappointment of repeatedly being turned away from rides that are not part of the promotion. 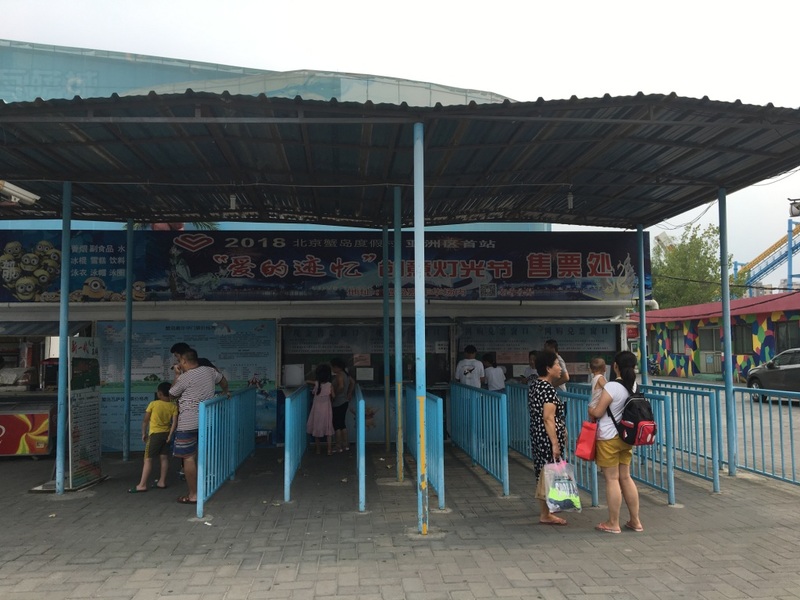 It is also possible to buy individual ride tickets (RMB 20) at the booth, but you have to state the name of the specific ride so that you can be issued with the corresponding ticket. Taking a photo of the ride and showing it to the cashier also works well. Restaurants abound and there’s even a Subway sandwich shop, though you might find it more convenient and cost-effective to just bring your own lunch, snacks, and beverages. The modest scale of this amusement park means that it does not feel overwhelming and it is easy to navigate without a map. The park is not exactly top-notch and many of the rides could be better maintained. However, despite the peeling paint and broken signs, there’s still a decent selection of enjoyable rides.